Monday to Thursday Lunch: 12 noon - 4pm. Dinner: 5.30pm - 11.30pm. Friday & Saturday Lunch: 12 noon - 4pm. Dinner: 5.30pm - Midnight. Sunday 12 noon - 11pm. 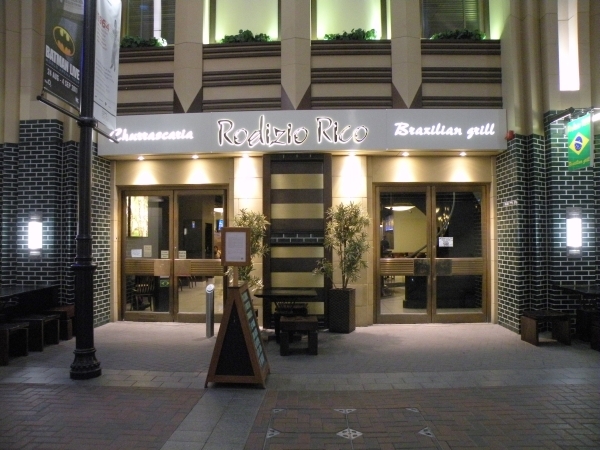 Rodizio Rico is located on Entertainment Avenue. View its location on the Entertainment Avenue retail map diagram. Find your way to Rodizio Rico by public transport with Transport For London's Journey Planner.